Today Fifth Class – for the fifth year running – held their La Cheoil. The idea of Lá Cheoil is to focus attention on music as a curriculum subject and, with a wide variety of activities, allow the students of Fifth Class to have a complete day of fun engaging with music-related activities. The activities through which the classes rotated this year were: Dance, Karaoke, a Music Quiz, Composing Music and Responding to Music through Art. 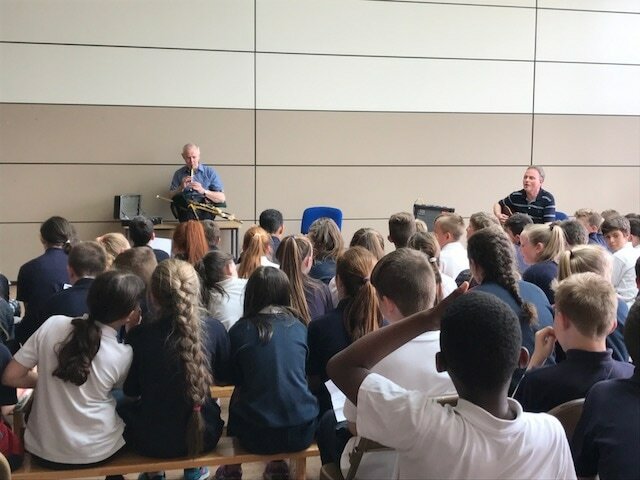 In addition, children got a chance to work with visiting Galway musician Michael Vignoles. Michael is a maker of both bodhráns and uileann pipes. He showed the children how these instruments are made and how they are played. The highpoint of the day was – as always – when the entire year group assembled in the hall for a special musical gathering where Michael joined the Fifth Class teachers to accompany the singing of the Fifth class students. After many singing sessions this year, our Fifth Classes boast an extensive shared repertoire of songs and they sang numbers ranging from Percy French to Bob Marley compositions. The assembly was also entertained by the school’s Grúpa Traidisiúnta and skome talented Irish dancers from among the ranks of Fifth Class. This event seems to go from strength to strength each year and we wonder what it will bring in 2018. Green-Schools is a student-led programme promoting long-term, whole-school action for the environment . The programme is operated and co-ordinated by the Environmental Education Unit of An Taisce. After a lot of hard work by our committee, with assistance from everybody in the school, we were awarded our Grren flag by An Taisce on Thursday. Ms O Gara accompanied by a few members of her Green School Committee travelled to The Helix in DCU to receive the flag on behalf of St Colmcille’s SNS. Well done to everyone who helped to bring this project to fruition during the year. St. Colmcille’s Day Design and Make! This year the St. Colmcille’s Day design and make theme is houses, more specifically homes. The homes can range from crannogs to mansions, it can be a house of the past or the future. Houses in reality, such as the white house or in cartoons and novels, such as SpongeBob’s pineapple! All you need is an imagination to make a great house! These projects will likely be displayed in the hall on Thursday 8th and Friday 9th June for all pupils to see. As a recent holder of the ‘All-Ireland Cycling School of the Year ’ title, St Colmcille’s has a name for encouraging its students and teachers to cycle or ‘scoot’ to school. Our first concern in this regard however is always to ensure that our children cycle safely. Over the past several weeks our Fifth Classes have undertaken a structured cycling course which aims to improve both the cycling competence and road-safety awareness of pupils. Under the careful guidance of cycling gurus Don and Ritchie, the children have learned how to negotiate all manner of challenges and hazards which face anyone who ventures onto a public road on a bicycle. This week some of our Fifth Classes took to the public roads around the school and, with the knowledge and skills gained over the previous weeks, they successfully dealt with right and left-hand turns, joining traffic, parked cars and many other challenges which confront road users. This comprehensive course takes place over eight weeks and, with the fun and good-humour Don and Ritchie bring to each and every class, our students have a great time while gaining invaluable skills which will last a lifetime. Many people have an unfortunate relationship with poetry, having it thrust on them in large amounts, at a time in their life when it represents nothing more to them than a means to the end of passing exams. In contrast, our Fifth Classes spent the last two weeks browsing through poetry books and selecting poems for no other reason than because they liked them. A ‘Poetry Jam’ was organised for the last day of the fortnight where the children read aloud their selected poems to their peers. It was clear to everyone assembled that the poetry being recited – ranging from the weird and humorous to the reflective and thought-provoking - was both meaningful and enjoyable for all concerned. Some children were inspired to pen verses themselves and they delighted their listeners with Haikus, Kennings and Free Verse that revealed a love of language and an ability to encapsulate thoughts and experiences. ‘Get Kids Active’ is an initiative by South Dublin County Council which aims to encourage schoolchildren to increase their fitness and levels of physical activity. This challenge was taken up by three of our staff – Ms Minogue, Ms Synott and Ms Devine – who have been impressed with response from our pupils over the past few months. After many training sessions and several local events, the ‘Finals Day’ arrived and our girls’ and boys’ representative teams headed to Corkagh Park in Clondalkin on Thursday to compete against dozens of other schools. In fact, this is one of the largest one-day children’s cross-country event ever staged in Ireland. And our representatives did us proud. At the conclusion of the day’s heats, when the points for our boys’ and girls’ teams were combined, St Colmcilles secured overall third place in this major event. A special race for those who had come 1st or 2nd in previous local races called 'The Champions Race' was also staged and in this too, our school was victorious with Layla Halpin in Third Class taking the gold medal for St Colmcilles. The aim of this initiative was to get kids active and for the scores of pupils from our school who participated, this objective did indeed become a reality over the last four months. Well done to everyone involved. Welcome Meeting for Parents of incoming 3rd Classes 2017/2018. Monday 15 May 2017 7.30 p.m. – 8.30 p.m.
Wednesday 17 May 2017 7.30 p.m. – 8.30 p.m.
which may be familiar to parents of a certain age who studied this legend ‘as Ghaeilge’ for their Leaving Cert. The three main characters involved in the saga are legendary warrior Fionn mac Cumhaill, the beautiful but headstrong Grainne and the noble young warrior, Diarmuid Ó Duibhne. It's a saga of magic, sorcery, bloody vengeance and relentless pursuit, culminating in a final act of treachery which has captured the imagination for hundreds of years. Without having to leave their school, the children enjoyed and were part of this theatrical event that retold a story which has been passed down through the centuries and which reveals the richness of our Irish heritage. The above depiction of Diarmaid and Grainne is by Jim Fitzpatrick famous for illustrating many an Irish legendary figure as well as the covers of several Thin Lizzy albums. Saint Patrick’s Cathedral where they admired the building's flying buttresses as well as its elegant Gothic architecture. Standing as it does on a site where a carved stone marks a well where Saint Patrick is believed to have baptised people into Christianity, this cathedral is a very important part of the history of our city. Inside the building the children were given a guided tour and encouraged to learn from the many interactive resources within the church. Finally, each group completed a set of stained glass windows which they brought back to display in their classrooms. After this, the history tourists proceeded to Dublin Castle, once the seat of power of English rule on this island. Behind the castle, they visited the park under which the River Poddle flows and heard about Viking exploits in this area which the invaders chose as the centre of their new settlement in the 8th Century prior to making Dublin their most important trading port. Finally they visited the City Hall where they found the building’s fabulous dome-capped rotunda with its gold-leaf ceiling, marble floor and paintings depicting scenes from Irish history. Standing 18 feet high the students observed an imposing statue of Daniel O Connell the Liberator and former Lord Mayor of Dublin as well as a sculpture of Thomas Davis the Irish patriot founder of ‘The Nation’ newspaper and composer of the nationalist anthems ‘The West’s Awake’ and ‘A Nation Once Again’. Although a trip through a busy city centre full of pedestrians and traffic can be a dangerous undertaking, as always, the behaviour of all fifth classes on these trips was exemplary and everyone stayed safe. With much to relate and discuss about the wonderful city we live in the various groups returned to class having enjoyed a wonderful day out. Recently we reported on an initiative by the Dodder River Action Group which aimed to raise awareness among schoolchildren about this local river. One of the activities they promoted throughout schools in Dublin was a Dodder Monster competition where children were encouraged to make a Dodder Monster using recycled materials. Pictured here is Niamh Mc Garry from Ms Ní Reachtaibhre's Fifth Class who was chosen as the overall winner of this competition. and will reopen on Monday 24 April 2017 at 8.50 a.m. Host Families Required: Rockbrook International, Rockbrook House, Edmondstown Road. Dublin 16. The school soccer team travelled to the grounds of Wayside Celtic in Kilternan where 15 other schools from South Dublin were gathered for the event. In the group stages of the competition our boys were very impressive, defeating all schools in their group, scoring 12 goals and conceding only one. At the knockout stage, they faced St Kevin’s of Kilnamanagh in the semi-final and won their place in the final, defeating the Tallaght side 2 – 1. Their opponents in the final were Ballyroan Boys School who held a 1 – 0 lead over our boys at half-time. Undeterred, St Colmcille’s took the field with great determination in the second half and thanks to an amazing header by Luke Haybyrne, found themselves on equal terms with their opponents. There followed a nail-biting conclusion where either side could have taken the spoils but fortune on this occasion favoured Ballyroan and with a goal in extra time, they claimed victory. Mr Ryan, the team coach, was extremely proud of the boys’ performance and their conduct in the competition – as we all were. Following competitive Spelling Bees in all year groups last week, Gavin Leddy represented our school at the Dublin finals of the 7th Easons Spelling Bee National Competition. From a starting field of some 72 expert spellers, Gavin won through to the final 18. When he was finally eliminated, only 10 of the original 72 contestants remained. A great performance - well done Gavin. An exciting Song Contest Final, a nail-biting Spelling Bee and a fun-filled Céilí Mór were 3 of the highlights in our school this week. Rang a Cúig enjoyed Seachtain na Gaeilge so much last week that they continued it into this week. holding a Céilí Mór in the halla ar an Aoine. 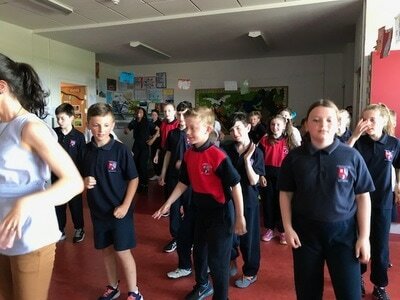 After a singing session which included, among others, Peigí Leitir Mór and Bob Marley’s ‘3 Little Birds’ as ghaeilge, there were solo performances by expert Irish dancers and a rendition of ‘Cailín na Gaillimhe’ by Seomra 20. The main event however was dancing on a grand scale with over 400 legs stepping out traditional favourites such as Fallaí Luimni and Ionsaí na hÍnse encouraged and cajoled by a microphone wielding Mr Kearney with hair askew, glasses fogged up and arms gesticulating wildly. A day to remember – great craic. Having chosen spelling champions in each classroom, the finalists went head-to-head in a nail-biting play-off in front of a full audience to find the overall champion in each year group. 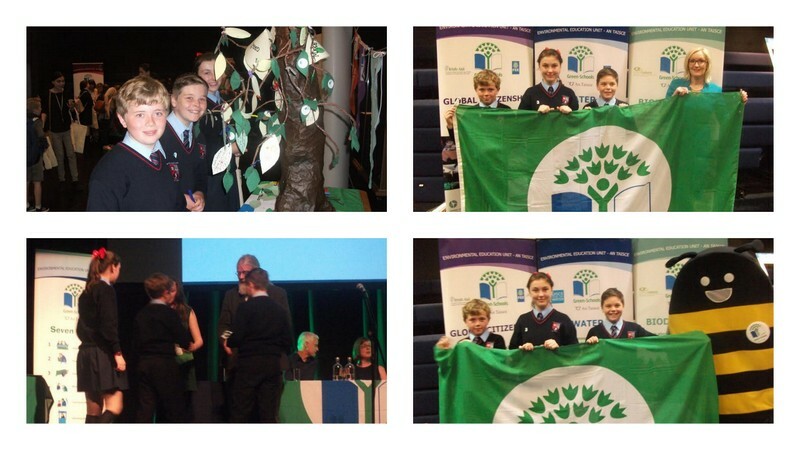 After months of activities, displays and initiatives in support of environmental issues, St Colmcille’s SNS was awarded its sixth Green flag by South Dublin County Council last week and - showing its continued commitment to the environment - the school held its popular Green School Song Contest this week. The Córfhéile is a non profit-making voluntary organization that aims to provide an opportunity for children in primary school right around Dublin to perform in a non-competitive music festival. The children that perform in the Córfhéile do so for the enjoyment of singing, for the love of playing music or the desire to participate in a play or drama. This invaluable opportunity to play in front of a large audience, in a large venue with full technical support was grasped by a wide array of musical groups in the school this week. These included the Grúpa Traidisiúnta, the Boys Choir and our rock group Scoil Rock. First out on Tuesday evening – tutored by Ms Neville and Ms Dunphy - was the Grúpa Trad which included 35 musicians ranging from 3rd to 6th class. They entertained the crowd with a programme that went through 2 polkas, a lullaby and the timeles, Fáinne Gheal an Lae. The traditional musicians were ably accompanied on piano by 6th Class student, Dylan French and they won warm appreciation from both the judges and audience for their performance. On the same evening – under the baton of Niamh Dunphy - our Boys Choir took to the Córfhéile stage. This small 10-member ensemble were enthusiastically received as they delighted their listeners with their rendition of Nelle Fantasia and the old favourite Trasna na dTonnta. The MC for the evening was promted to remark that surely the next ‘3 Tenors’ would come from the ranks of this small but hugely musical boys’ vocal group. If the audience in the National Basketball arena on Wednesday night were expecting a soft and serene opening set, they were rudely awakened by Scoil Rock who stormed into Teenage Kicks by the Undertones (re-imagined as Brionglóidi Déagóra for the event that was in it) and ZZ Top’s anthem Sharp Dressed Man. It was noticeable from their performance how much they have grown as both musicians and performers even since their last concert in December. Córfhéile has for many years provided the students of St. Colmcille’s SNS with an impetus to strive for excellence in singing and musicianship and this year, once again, it gave a priceless opportunity to 3 very different musical groups to express themselves and to grow in music. This week St Colmcille’s SNS sent six teams to Baldoyle Badminton Centre to compete in the Leinster Open Badminton Championship – and compete they did! Against opposition from many parts of Ireland, our teams – both boys and girls – fought hard all day. One of our girls teams narrowly missed making it to the finals, being pipped by just 2 points in the semi-final. One of our boys teams however, went all the way to their final and won the overall event. The above picture shows them being presented with their medals by the Head of Badminton Ireland. It was a very long day; the teams left the school in the morning and didn’t leave Baldoyle until 5pm. Despite this, all six teams behaved themselves impeccably and approached every game with great determination but also, great respect for their opposition. Of great assistance in organising their participation was Maire Curry-Marshall and St Colmcille’s would like to thank her most sincerely for her involvement. Meanwhile, back in the school, our current Fifth Classes are receiving expert coaching from Mark Topping and Sian Williams on a weekly basis. Who knows – maybe some of these students will be successful in badminton in the years ahead. Bishop Eamonn Walshe who came to officiate at the ceremony of Confirmation for our Sixth Class students. It was clear to the large crowds that attended on both days that Bishop Walshe was keen to put the candidates for Confirmation at ease so that they could focus on the importance of the event in which they were participating. To this end, he used jokes and stories to make everyone feel comfortable while, at the same time, ensuring that he was delivering a clear message to the young candidates. The bishop stressed the need for kindness and the onus on us all to do our part to make the world a better place. This message was reflected on the cards which he handed to each individual candidate when they came before him to receive the sacrament of Confirmation. Following the ceremony, Bishop Walshe posed for photographs with the children before everyone adjourned to the school where the Parents Association had transformed the school hall into a beautiful reception area where parents, grandparents and children alike could relax and talk about the events of the day. Below is a photograph of the Parents Association members taking a break from their labours in the school hall. Many thanks to them for helping to make the event such a special one. It was a busy time in school this week with many varied events taking place. 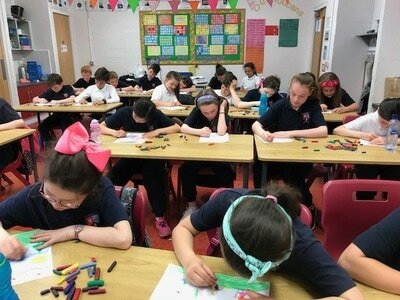 Celebrated in Ireland for the last seven years Catholic Schools Week calls on Catholic schools to give expression in a special way to a particular aspect of Catholic education. This year, the theme for the week was based on a 2015 encyclical by Pope Francis called ‘Laudato Si’ which calls on the faithful to ‘Care for our Common Home’. Emphasising as it does our connection to and dependence on the environment and on the need to cherish and protect it in every way we can, this year’s theme chimed harmoniously with the school’s current focus on Global Citizenship. The events of the week culminated in a mass celebrated by Fr Martin at which the whole school was present. The classes of Ms Bent and Ms Butler represented the school as members of the Laudate Choir in St Lawrence’s Church Kilmacud on Wednesday night. Our Fifth classes were visited by a living, breathing, real-life Viking who told them stories and facts about these influential people who are responsible for founding the city we live in. In preparation for their upcoming Confirmation ceremony, our Sixth Class students spent a day in the Dominican Priory in Tallaght, reflecting on their lives and on the significance of the step they are shortly about to take. In short, this means that we recognise our connection to all other inhabitants of Planet Earth and our dependence on and responsibility towards our environment - the natural world. In 2015, 193 countries agreed on 17 Global Goals which focus on the concept of Global Citizenship and which the United Nations believes we can achieve by the year 2030. Many of these goals concentrate on the inequalities that exist in our world for example in relation to poverty, access to education and discrimination against women. Others identify environmental goals such as clean water, protection of endangered species and the safeguarding of our marine environment. Many different projects and activities have been undertaken throughout the school in our quest to earn our Green Flag as we do our bit to advance the 17 Global Goals. In connection with the Global Goals our Fourth and Fifth Classes had a visit this week from Victoria White who is a member of an organisation which helps protect the Dodder River and the huge biodiversity which it supports. As a passionate advocate for the environment, Victoria made a deep impression on the children. She urged them to raise awareness of the pollution of the Dodder by litter and to create 'Dodder Monsters' - 3D models made from the sorts of rubbish which can be found in this beautiful river. Our students were not found wanting in doing what they could to support an environmental issue and below you can see some of the monsters they have already produced. Our Fifth Classes were lucky enough this week to get an invitation to visit Casement Aerodrome, home of the Irish Air Corps in Baldonnell – and what an interesting, educational and memorable trip it turned out to be. The airfield – built by the English between 1914 and 1917 - was handed over to the Irish Government in 1922. Irish military aviation began in 1922 when a single-engined biplane, was bought to permit General Michael Collins to escape from London should the Treaty talks with Britain fail. The first ever successful transatlantic flight piloted by an Irishman and two Germans, took off from Baldonnell in 1928. So – Casement Aerodrome, apart from being a state-of -the-art military air installation, has a great deal of history to it as well. On passing through the strict security at the airfield, the students were introduced to their escorts for the day. They were guided by Airmen Mailey, Byrne, Kirwan and Winters who went out of their way to engage and entertain the students on three different days this week. During the visit, the classes were shown weapons including pistols, rocket launchers, grenades and machine guns and allowed to hold and examine them. A visit to one of the hangars allowed them to see inside several aircraft including helicopters and two-seater jets. The site boasts an impressive museum, housed in one of the hangars and it has exhibits which include aircraft which crashed in Ireland during WWII, vintage aircraft and an exact replica of the Wright Brothers craft which, in 1903, completed the first ever controlled flight in a powered aircraft. The highlight of the tour for many of the students was when they were introduced to the Bird Control Unit. It came as a surprise to many, that the Air Corps keeps birds of prey in order to control other birds in the area which can pose a significant threat to aircraft in flight. Among the fabulous birds – which were allowed to perch on the children’s arms - were two peregrine falcons and a buzzard. Before leaving, the children were presented with a photograph of their group in front of one of the military aircraft by the Air Corps official photographer. We are very grateful to the Air Corps for their wonderful hospitality and special mention is due to John Martin – father of Jack in Room 20 – who was responsible for organising a very memorable fieldtrip for 200 of our students. The Service of Light – a ceremony which is part of the children’s preparation for Confirmation – has become a focal point in the school year. This year the service was lead by Fr Joe Mothersill and it involved the participation of every Sixth Class student. From the beautiful hand-painted glass candle holders to the artwork on the walls and the thoughtfully composed prayers from each child on the illuminated prayer trees, each and every candidate for Confirmation was represented as an essential participant in the ceremony. The Ceremony of Light touched many hearts and minds this week and it remains a very special event in the life of the school community. If the cultural buzz in the school last week was musical, this week it was all about drama. With a huge range of plays staged in the school hall, audiences were treated to everything from thoughtful Christmas dramas to classic Christmas tales to amusing takes on Christmas characters and the story of Christmas. Ms Keyes’ Third Class set the ball rolling early in the week with a high-energy production called ‘It’s a Party!’ This was followed by Mr Collins' class who staged the musical ‘Silent Night’ which explored the history of the most famous of all Christmas carols. More classic Christmas fare was whipped up by Fifth Class in the shape of Mr Boyle’s fabulous recreation of the Dicken’s classic ‘Scrooge’ and Mr Maguire’s wonderful take on the Red Riding Hood story. Two other productions from the fifth class stable had a modern music theme. Mr Kearney’s ‘Santa Sings the Blues’ saw Father Christmas himself going through a mid-life crisis while Ms Walsh’s class rearranged our understanding of Christmas with ‘The North Pole Goes Rock ‘n’ Roll’. Photographs of Ms Walsh’s class play can be viewed below and photographs of the other productions will be added as they become available. There is no Choir today. Choir will resume next Monday 19 December 2.30 p.m. - 3.30 p.m. This week saw the blessing of the cribs - a tradition at St Colmcille's. From its humble beginnings in a small cramped hall in the old building in 2007, St Colmcille’s Oíche Cheoil has grown into one of the flagship events on the school’s calendar. Awaited as always with great eagerness by students, parents and teachers alike, the event took place on Wednesday night with several hundred people assembling amidst great anticipation in the school hall. The large space of three combined halls was transformed for the evening by subtle lighting, beautiful Christmas trees and handmade decorations so that the enchantment of the evening began as soon as you entered the venue. But the evening was all about music and the depth and range of musical talent in our school was clear to see. The evening began with the Folk Group under the direction of Ms Minogue and Ms Murphy. The young voices from 3rd and 4th Classes set the tone for the evening with songs such as Hallelujiah Christmas and When I Grow Up. They were followed by our Grúpa Traidisiúnta which was augmented this year, for the first time, by a newly formed Tin Whistle Group. They finished a selection of jigs and polkas with one of the highlights of the evening – a beautiful arrangement of the Carol of the Bells with Ms Woods, Ms Dunphy and Ms Neville Joining the young players on stage. A short drama based on the T S Elliot poem The Journey of the Magi was then staged under the direction of Ms Fahy and, following this, our School Choir’s made its first of three visits to the stage. Under the baton of the various choir conductors during the evening – Ms Synnott, Ms O Brien and Ms Neachtain, the school choir once again demonstrated why they have gained a reputation for themselves over the years as they expertly moved between musical genres with beautiful harmonies and clever arrangements of songs including seasonal favourites, a medley from the musical ‘Oliver’ and the Oasis rock anthem Half the World Away. Last year our first ever Boys Choral Group made their debut performance at this event. Showing that the group have gone from strength to strength since then, the current compact group of 12 male singers under the direction of Ms Dunphy, performed a beautiful rendition of Nella Fantasia – a song based on the instrumental piece ‘Gabriel’s Oboe’ from the film The Mission. Towards the end of the evening, the school’s own rock band Scoil Rock swaggered onto the stage before tearing into Lynyrd Skynyrd’s Sweet Home Alabama and ZZ Top’s Sharp Dressed Man inspiring the audience to join in and leaving them looking for more. Some order was restored by the re-appearance of the choir who recalibrated the seasonal atmosphere with a Christmas medley setting up nicely, the evening’s finale of Silent Night with all groups, the audience included, taking part. 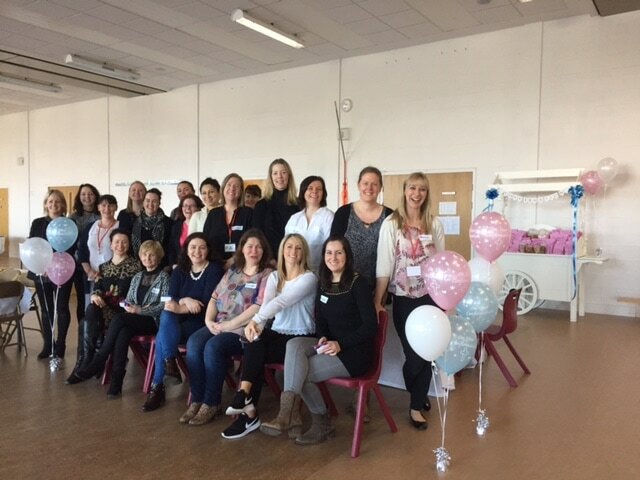 The school’s staff – of whom over 40 were present - deserve credit for the many roles they undertook - from assembling stage parts to organising artwork, to preparing musical groups, to acting as carpark attendants and many other roles - to make this unique and wonderful event possible. St Colmcille’s is a harmonious place full of talented people who combine, share and collaborate successfully for the betterment and enjoyment of everyone. 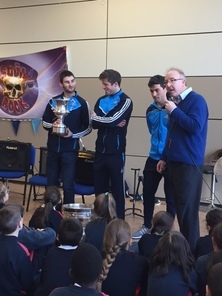 For the second year in a row, a group of Dublin senior footballers proudly brought the Sam Maguire trophy to St Colmcille’s School. They were met with rapturous applause in the school hall as class after class came to show their appreciation for the wonderful achievement of their footballing heroes. The honour of interviewing the illustrious visitors fell to Mr Kearney – a self-confessed Dublin and gaelic football fanatic who could hardly believe his luck. His three interviewees, who all belong to the Ballyboden Saint Enda’s GAA Club, included Shane Clayton, Robbie Mc Daid and Colm Basquel (a past pupil of our school). All three gave interesting insights into the mindset of top sportspeople. Speaking to his young admirers, Colm Basquel emphasised the comraderie and friendship which builds up among fellow members of a team and he recalled his own days as an under-age schoolboy playing for our school in the final of the Corn Kitterick competition in 2008. Paying tribute to his coaches when he played for our school – Mr Ruddy, Mr Mac Gabhann and Mr Dundon - he urged the boys and girls in the hall to see the importance of the competitions in which they are involved and the relatively short time between them and possible senior football competitions in the future. ’You never lose’ he said as long as you do your best and learn something from your defeat. 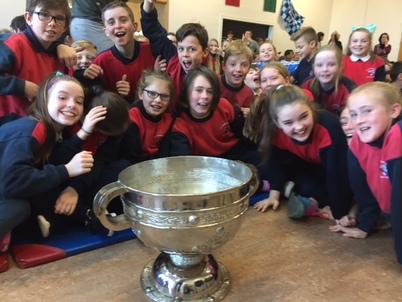 Mr Kearney pointed out to the assembly that, even though this is the third visit of the Sam Maguire trophy since 2011 – many Dublin school kids in the past had never seen the cup in their school and we should realise that this is a golden age of Dublin football. He said that, set in the context of history, the achievement of these visitors is hugely significant. With the strains of Molly Malone wafting after them, our football heroes left the building but, who knows what depth of inspiration they have left behind them and the sporting feats that may be achieved by some of the pupils of St Colmcille’s in the years ahead. In a world where screens seem to be taking over our children’s lives, books remain a source of information, stimulation and inspiration and one which we neglect to our detriment. As part of our on-going review and evaluation of literacy within the school, the promotion of recreational reading or reading for pleasure has been identified by the staff as a priority for the school. To this end there has been an emphasis on all aspects of reading and literature. Reading is promoted in a variety of ways in classrooms and you too can play a part in this process by showing that you think reading is an important activity. With a little encouragement your child will read more and before you know it ‘the reading bug’ will take hold. At that point, a lifelong love of reading will have taken root and your child will wonder how they survived without books. For many years, a vital link in our school’s reading strategy has been our Book Fair. If you visited the school for a parent-teacher meeting this week you cannot have missed Aonach na Leabhar. This annual event has always excited interest in the school community and this year was no exception. After five days of commotion and commerce the fair raised just shy of €3,000. This money will be of invaluable help in achieving the objective of turning more children on to reading and increasing the number of those who count reading as an enjoyable and worthwhile hobby. Many thanks to Messrs. Mc Govern and Sweetnam and their classes for organising the book sale and of course to the hundreds of families who contributed books and those who bought books this week. If you visit the Curriculum Corner of this website you’ll find some good ideas for promoting reading such as ‘#Sell a Book’, the 6th Class ‘Readathon’ as well as useful websites. Why not visit the local library or bookshop or download reading material for your child. 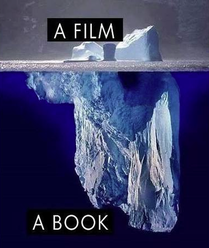 And while you’re at it, dive into a good book and rediscover the joy of reading for yourself. If creating slime, electrocuting a Barbie doll and making people’s hair stand on end is your thing, then the Junior Einstein workshop in Ballyroan Library was the place to be this week. Apparently this is the sort of activity which excites the enthusiasm of our Fourth Class students as they braved the elements and walked all the way to Ballyroan to listen to a visiting zoologist who filled them in on the finer points of and the scientific theory behind creating coke geysers and using a Van der Graaf Generator. Non-Newtonian fluids are liquids which don’t flow easily and behave more like solids. In explaining these strange liquids, the zoologist demonstrated how she made toothpaste for the elephants at the zoo - (who would have thought the world's largest land mammals were so concerned with oral hygiene?). Static electricity was the concept which caused poor Barbie to be exposed to a Van Der Graaf Generator and a plasma ball was used to show how our bodies can become conductors of electricity. All of this was part of Science Week. And Fourth Class weren’t the only ones to focus on the sciences this week. 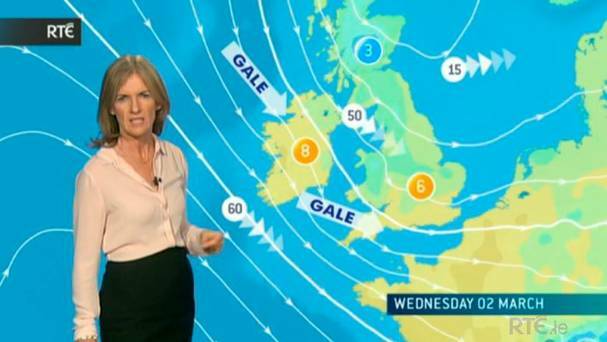 Our Third and Fifth Class students met meteorologist and well-known RTE weather forecaster Joanna Donnelly on Tuesday and she gave them a fascinating insight into how weather data is collected and how the forces on our planet influence the weather and climate of our region. Joanna is also a strong advocate of renewable energy and she made a heartfelt appeal to her young listeners to become the generation that embraces new technologies which will help tackle the problems of pollution and global warming. Not to be left out, our Sixth Class students are visiting the Institute of Technology in Tallaght today as part of their involvement in Science Week and we will add pictures of their scientific fieldtrip to this page as soon as they become available. This month, St Colmcille’s school joined in the age-old November tradition of remembering those who have died and left us. In classes, some shared memories of people to whom they had been close and who have left this world. Others silently recalled the people who have passed on and held their memory in their thoughts. On Thursday morning, the senior school assembled in the parish church for a mass of remembrance. Speaking to the congregation of students, parents, grandparents and parishioners, celebrant Fr Joe Mothersill pointed out that mourning is a part of human life. He recalled the written words of St Paul who urged the Thessalonians ‘Do not grieve’. Fr Joe explained that we should indeed grieve and be sad when a loved one dies but that we should not submit to grief. We should move beyond mourning and live our lives to the full as those who have left us would wish us to do. Garda Pat Tarrant visited our school recently and spoke to all classes about the dangers of Hallowe’en and how to avoid them. Here are the main points of what he had to say. Trick or Treating – When visiting houses, make sure you stay near home, tell your parents where you’ll be and how long you’ll be out, take your phone with you and make sure it’s charged – and – never go inside the house of someone you don’t know. 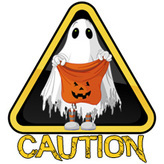 Hallowe’en can be great fun but we have to be sensible and take care. We want everyone to return safely to school after the holiday. Many thanks to Garda Pat for his ongoing contribution to our school and to the welfare of our students. Several of our class were on the move this week as part of our History programme. Our Third Classes travelled to the city centre where they first explored the collection of the National Museum of Ireland. As they are currently studying Vikings, the children were particularly interested in artefacts from the 8th and 9th centuries – artefacts associated with this marauding horde of Norsemen who first attacked Ireland in 795 when they plundered Rathlin Island off the coast of Antrim and burned down its church. The children also visited the museum’s Treasury which exhibits some of Ireland’s most valuable heritage such as the Derrynaflan Hoard and the Ardagh Chalice on which the Sam Maguire trophy is based. Continuing from there, they visited The National Gallery. As part of its participation in the ‘Decade of Centenaries’ the gallery has highlighted works which have a historical connection, especially to 1916 and the years immediately before and after it. Works on display include ‘The Arrest of Constance Markievicz’ by Kathleen Fox , ‘After the Bombardment ‘ by Archibald McGoogan and 'Éire' by Beatrice Moss Elvery. Interestingly, a copy of this latter work – painted by an ancestor of the famous Elverys sports suppliers – hangs in St Enda’s Pearse Museum where our Fifth Classes were busy this week gathering information on the Pearse Brothers and 1916. Led by Alan, the museum’s engaging curator, the children were shown many primary historical sources including 100 year old teaching resources, a magic lantern projector and a handwritten draft of Pearse’s oration at the graveside of O Donovan Rossa whose funeral is believed to be the largest ever seen in this country. 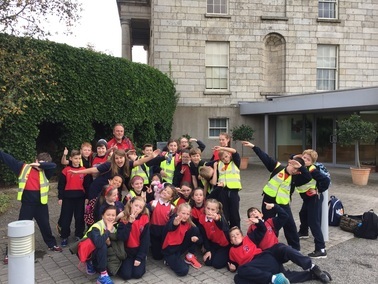 Using clever logistics, the Fifth Classes staggered their visits to St Enda’s and used the buses hired by our Third Classes to be transported either to or from the Pearse Museum while their younger colleagues were in the city centre. This kept down the cost of a very interesting day of history and heritage for everyone. This week is Maths Week and St. Colmcille’s is buzzing with a wide variety of Maths related activities. Our inter-house Maths Quizes are generating huge excitement. In the lead after today’s third class quiz is Gartan, with an impressive score of 97. * How many edges on a cuboid? * Write one million in figures. * Which is heavier, a kilo of paper or a kilo or coal? 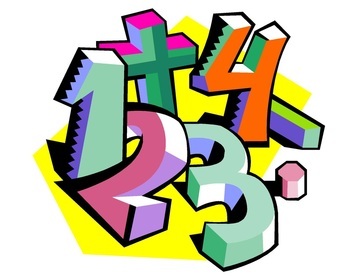 Parents, would you like to get into the spirit of Maths Week yourself? Mathematics and numbers are all around us in everyday life. Here are a few suggestions which you might like to try out with your boy or girl at home. Encourage them to estimate an answer and then check it out. * In the supermarket, when the shopping trolley is full, guess how much it will cost and then check the receipt. * In the kitchen, ask your child to guess the weight of foodstuffs e.g. cornflakes, beans etc. Then they can weigh it. * When you’re in the petrol ask them to check the cost per litre and to observe how much you’re spending on diesel/petrol. * When in the car draw your child’s attention to distances between places e.g. Knocklyon to Terenure, Dublin to Galway etc. * Spend a few minutes on a regular basis asking random tables and see how quickly they can answer. * Make sure your children can read the clock face as well as digital time. You could say that the school has been in the grip of strange craze over the last week. Students have become obsessed with homework assignments and have been spending oodles of time labouring over mathematical concepts and arithmetic challenges on the Internet. All of this is down to a highly entertaining games-based learning website called MangaHigh which was introduced to the students this week in preparation for the upcoming annual ‘Maths Week’. However, such was the stir it caused that hundreds of students throughout the school have become absorbed in it and have amassed thousands of points even before ‘Maths Week’ has begun. The word on the grapevine is that, although Monday is the first school day of ‘Maths Week’, the competition for MangaHigh points and medals actually opens on Saturday. So – don’t be surprised if your child is awake early tomorrow morning doing optional extra Maths homework. After a tremendous run in their respective competitions both our senior boys and senior girls teams were beaten at the semi-final stage this week. In the Sciath Austin Finn competition our girls were beaten by Rush National School. Their coaches Mr Kearney and Ms Ní Fhearghaíl were particularly impressed by the never-say-die spirit of our girls who battled hard all the way to the final whistle. In the Corn Kitterick our senior boys were beaten by Belgrove, ending a string of victories over other schools. Mr Ryan and Mr Maguire who coach the boys were also impressed by the performance of their charges on the day and –although there will be no Croke Park final for either team – we join the coaches in applauding our footballing heroes. We are very proud of them. Sancta Maria College has postponed the Opening Evening which was due to take place 20 October 2016. The Open Evening will now take place on Thursday 1 December 2016 7.00 p.m. - 9.00 p.m. Some of our Fourth Classes ventured out this week to discover the local history of Knocklyon. They began by inspecting the bronze cross gifted to St Colmcille’s Parish by renowned local artist Oisín Kelly (pictured below) creator of the ‘Children of Lir’ sculpture which is the centrepiece of the Garden of Remembrance in Parnell Square and the imposing statue of Jim Larkin in the middle of O Connell Street. The intrepid historians then proceeded to the site of Prospect House where Kelly lived but which is now gone – a victim of progress – replaced by the ‘A Bridge’ on the M50 . The children did get to see the walled garden of the house however as well as the gatelodge of the artist’s residence. Other places visited included Knocklyon Castle which was built in 1450, the stone cross in Cherryfield and the ancient Balrothery Weir on the Dodder which has been around for nearly 800 years. The children were guided in their discoveries by an old friend of ours – Tomás Meagher who is a well-known historian and guide. Mr Meagher was impressed with the behaviour and level of attention of all of the fourth classes whom he accompanied on his walking tours. Further tours are scheduled for next week. Our senior boys’ football team posted an important victory this week in the quarter finals of the Corn Kitterick Competition. Pitted against old rivals St Mary’s of Rathfarnham on Thursday, they were sorely tested by their opponents in the first half. They began the second however with great determination and aided by a great goal from Rory O’ Mahony, they came out winners on a scoreline of 2:4 to 1:11. They are now in the semi-finals of this prestigious competition and will face Belgrove next Thursday in Russell Park. Go n-éirí libh a bhuachaillí. Anam Cara, the organisation that supports bereaved parents, is holding a Bereavement Information Evening on Wednesday 10 October from 19.30 p.m. to 21.30 p.m. in the Maldron Hotel, Tallaght, Dublin 24. The guest speaker for the evening is Peter McCartan. This is a free event. As Anam Cara will need to confirm numbers for teas, coffees, etc, please RSVP to info@anamcara.ie before Friday 7 October or call the Information Line on 085 2888 888. In the school currently, there are thirteen coaches training five senior and two junior football teams in competitive series. First out of the traps this week were our two junior football teams in the capable hands of Messrs Boyle, Collins and Reilly. Playing away from home in Sandyford and Ringsend respectively, the teams faced tough opposition in the shape of Scoil Olaf and St Michael’s. Although both teams were beaten, their coaches declared themselves well pleased with their teams’ performances. In this Junior ‘Go Games’ League Mr Reilly said ‘We are improving with every game’. Our senior girls’ teams were in action on Wednesday. The senior ‘A’ team played Loreto in The Hermitage and now find themselves facing a quarter-final in the Sciath Austin Finn competition. Coaches Mr Kearney and Ms Ní Fhearghaíl thought their girls’ performance was impressive and picked out Emma Byrne, Sarah Kelly, Caragh Ryan and Laura Rourke for special mention. The senior ‘B’ girls were also in action on Wednesday. Although they were beaten by Hollypark in Cherryfield, Ms Walsh and Ms Kennelly were heartened by the way the girls kept battling away until the final whistle. With their level of effort they may well improve on this when they meet Belgrove next Wednesday. Also in action in Cherryfield this week were the senior ‘B’ boys team coached by Mr Johnston. They met a very strong side from Pius X School and were beaten 3-5 to 5-7. We hope they fare better in their encounter with St Brigid’s in Russell Park next week. Finally, good news from the senior ‘A’ boys camp who faced Hollypark in Meadowvale on Thursday. Their brave performance – which included a spectacular penalty save by goalkeeper David Colclough – saw them run out 4-5 to 3-5 winners. They now find themselves in the quarter finals of the prestigious Corn Kitterick competition and will face Marino next Wednesday. We wish them all the best for next week and await the result of that encounter with great interest . Thursday saw the entire senior school gather for the traditional beginning of school year Mass in the parish church. Lead by Father Joe, the school community asked for God’s guidance and blessing in its challenges and endeavours during the new school year. Fr Joe gave a homily in which he urged the assembled students not to be quick to judge others and to remember to show kindness to those around you whenever the opportunity arises. This echoed a theme repeated in assemblies during the week in which all students were urged to ‘Work hard and be kind’ this year. As we go to press, the fun has started with well over 400 children participating in an event which will raise much-needed funds for Our Lady’s Children’s Hospital. Modelled on last year’s hugely successful ‘Súgradh for Syria’, the event involves the children in a host of fun activities ranging from basketball and hockey to agility, co-ordination and co-operative games. Teachers, SNA’s and office staff are all helping to supervise and organise the event and 100% of the proceeds will be donated to Our Lady’s Children’s Hospital in Crumlin. 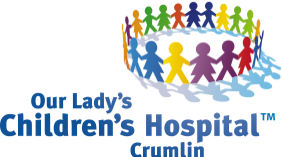 As with last year, the response from the community has been overwhelming and ‘Cluichí for Crumlin’ promises to be another large windfall for charity. Watch this space for further updates. Last week we reported on the success of the boys’ senior football teams and this week, it’s the turn of the girls. Coached by Ms Ni Fhearghaíl and Mr Kearney, the girls’ Corn Austin Finn team had mixed fortunes losing by 2 points to St Brigid’s, Cabinteely in Cherryfield and scoring a 7 point victory over Bishop Galvin NS of Templeogue. According to Ms Ní Fhearghaíl the girls have put in great team performances this week and are improving all the time. They are confidently looking forward to their next fixture which will be against Loreto in Hermitage next Wednesday. Mixed fortunes too for Ms Walsh and Ms Kenelly’s charges who were involved in league games against Scoil Fhiacra and Bishop Galvin NS. They won their first match against Scoil Fhiacra in Whitehall but were beaten convincingly in the second fixture in Tymon Park by Bishop Galvin. We wish them luck in their upcoming games against Hollypark and Belgrave next week. So said Roald Dahl, whose wonderful stories and characters, have thrilled and delighted readers for generations. Of course, amid the madness and the fantasy of his creations there were many insights into human life and there was always great wisdom to be found amongst the mayhem and the nonsense. It will hardly have escaped anyone’s attention that the literary genuis’s 100th birthday fell on Wednesday of this week. It certainly was not overlooked in St Colmcille’s where ‘Radio Dahl’ ruled the airwaves in the school at midday each day with an eclectic mix of song, poetry, readings, puzzles, competitions and, of course, nonsense. 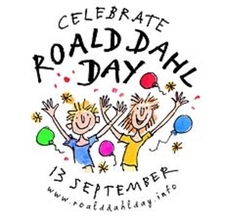 This focus on Roald Dahl generated a lot of artistic, literary and creative classroom activities throughout the school and will doubtless have inspired many to catch up on un-read Dahl titles – not that the great man's reputation was ever flagging! Our senior boys’ teams got off to a winning start this week in their respective competitions. The Senior A boys played St Brigid’s Foxrock in Cherryfield and scored 6 goals and 10 points on their way to posting an emphatic victory over their opponents in the Corn Kitterick competition. It augurs well for their next encounter which will be against St Lawrences Kilmacud in Glenalbyn. Our other senior boys team played a league match against Scoil Mhuire Rathfarnham during the week and ran our winners with a scoreline of 4-6 to 2-2. Let’s hope they can keep up this kind of form over the coming months. In the spirit of this prayer, a number of school activities stirred to life this, the second week of term, as the rhythm of the new school year became more obvious. 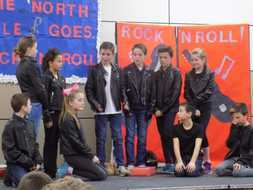 Monday saw the first rehearsal of the 9th line-up of ‘Scoil Rock’, the school’s own rock band, in which the new members got down to the serious business of learning a repertoire of classic rock songs for upcoming live performances. Sport too sprang to life with the school’s senior boys’ football team taking advantage of the good weather and commencing their training for the upcoming Corn Kitterick competition. The senior girls’ team were also seen making preparations for their Corn Austin Finn campaign. Keep your eyes on this page for weekly updates on the many and varied events and activities in Saint Colmcille's Senior National School as our students - in the true spirit of our school - face the many challenges and grasp the exciting opportunities that will come their way throughout the year ahead. First Day back at School: Tuesday 30 August – 8.50 a.m. The staff of St. Colmcille’s Senior School are looking forward to meeting all of our pupils on Tuesday 30 August. This is a full school day. Our new 3rd class pupils are to assemble in our school hall each morning of the first week (Tuesday, Wednesday, Thursday and Friday. We will have a short Assembly of welcome and orientation each morning. Our 4th, 5th and 6th classes are to assemble on the playground, as usual. School hours are 8.50 a.m. – 2.30 p.m.